Facebook CEO Mark Zuckerberg delivers a speech at the VivaTech show in Paris last year. Outraged parents were forced to turn to the Better Business Bureau, their credit card companies or even the courts to get their money back. The revenue Facebook earned off children had such large chargeback rates – a process in which the credit card company is forced to step in and claw back money on behalf of parents – that it far exceeded what the Federal Trade Commission has said is a red flag for deceptive business practices. Despite the many warning signs, which continued for years, Facebook made a clear decision. It pursued a goal of increasing its revenues at the expense of children and their parents. U.S. District Court Judge Beth Freeman ordered the documents unsealed on Jan. 14 after Reveal from The Center for Investigative Reporting intervened last year, arguing the public had a right to know how Facebook targeted children. The judge gave Facebook until Jan. 24 to unseal the documents, although she allowed the company to keep a few of the records sealed or partially redacted. The documents span a time period of 2010 to 2014. Early in the afternoon of July 8, 2011, Tara Stewart sent out a message to her colleagues at Facebook. It was full of internal jargon. “If the devs are really concerned about the cbs and not refunds it could make sense to start refunding for blatant FF-minor,” she wrote. Stewart was suggesting to her colleagues that maybe Facebook should just refund money to parents when their kids clearly used their credit card without permission. “Devs” meant game developers, and “cbs” meant chargebacks. “FF-minor” was Facebook’s term for “friendly fraud” involving a minor. Stewart was deeply involved in Facebook’s efforts to increase its game revenues. Chargebacks were often the last resort for disgruntled parents, short of filing a lawsuit. So as a test, Stewart and her colleagues tried requiring children to re-enter the first six digits of the credit card number on certain games before they could spend money. Stewart called it a “good first step.” It worked, according to the unsealed documents. It lowered the number of refund and chargeback requests from children. “CCs” stood for credit cards. But Stewart’s study had uncovered a downside of protecting children from unwittingly spending money. It would likely hurt Facebook’s revenue. So despite their monthslong efforts, and results showing they could reduce the problem, and the fact that tech companies such as Apple were already using some similar form of authorization, Facebook decided to go in another direction. It would not try to block children from unwittingly spending hundreds or even thousands of dollars on its games. The problem Stewart tried to fix was not a small one. A few months before she launched her project in mid-2011, Facebook had uncovered some troubling data about the children playing its games. They were requesting refunds and demanding chargebacks at extraordinarily high rates. The company had analyzed data on game revenue from children for the time period Oct. 12, 2010, through Jan. 12, 2011. The children had “spent a whopping $3.6 million” during the three-month period, according to the report. In comparison, the average chargeback rate for businesses is 0.5 percent, according to the Merchant Risk Council, a nonprofit that helps businesses manage risk. A chargeback rate of 1 percent is considered high, and credit card companies such as Visa and Mastercard will put businesses on probation programs for rates consistently that high. The Federal Trade Commission said in an unrelated fraud case in 2016 that a 2 percent chargeback rate was a “red flag” of a “deceptive” business. The makers of Angry Birds, one of the top games during that time, were also worried about Facebook’s high rates, according to an email the game maker Rovio sent to Facebook. “We have been seeing refund rates of 5-10 percent in terms of credits spent so far on Angry Birds. This seems quite high to me, but it might just be normal for games on Facebook,” a Rovio employee wrote to his counterpart at Facebook. Facebook launched an analysis to determine what was happening with Angry Birds. It found that in nearly all cases, about 93 percent of the time, the refunds were a result of credit card holders not realizing the game was charging their account. “In nearly all cases the parent knew their child was playing Angry Birds, but didn’t think the child would be allowed to buy anything without their password or authorization first (Like in iOS),” a Facebook employee wrote. The average age of those playing Angry Birds was 5 years old, according to Facebook’s analysis. “TPV” is total purchase value, also called revenue. If Facebook tried to stop children and their parents from unwittingly spending money, it would hurt the company’s revenue. The memo stated, “Friendly Fraud – what it is, why it’s challenging, and why you shouldn’t try to block it.” “Friendly fraud” is the term Facebook used when children spent money on games without their parents’ permission. At the time the document was written, Facebook was waiting to see if it would win enough chargeback disputes to make it worth automating the process. It is unclear from the documents if Facebook won enough disputes and went ahead with its plan. Glynnis Bohannon’s 12-year-old son asked if he could use her Wells Fargo credit card to buy $20 in virtual goods for his favorite game on Facebook, Ninja Saga. The weather in Phoenix, where they lived, had been unseasonably hot that October in 2011. He wanted to play inside on his computer. His mom said yes, handing him the credit card, and in exchange he handed her a $20 bill he earned doing chores. As he started playing, he had no idea Facebook had stored his mom’s credit card information, he would later tell his attorneys. He also didn’t realize that as he played, Facebook continued to charge his mom’s credit card far beyond the original $20. He thought he was only using fake coins that were just part of the free game, he said. Facebook’s Tara Stewart had foreseen this exact problem a few months earlier. She even noted that Ninja games were especially problematic, and had developed a method that would have stopped Bohannon’s 12-year-old son from unwittingly spending money. But Facebook had not implemented her recommendation. And as he sat there, avoiding the dry heat of the Arizona desert, the 12-year-old boy was duped into spending several hundred dollars on his mom’s charge card. When Bohannon came home later, her husband said, “The bank called.” So she went online to check their accounts. She asked her son why he would do that. But he was flabbergasted by the charges too. So Bohannon asked her son to play the game so she could watch what he was doing wrong. As he played, he occasionally clicked on a corner of the screen that gave him more abilities, such as magical items, or new ninja attacks for his character. It didn’t ask if he wanted to pay for it, or let him know that his mom’s credit card was being charged. She went to Facebook’s website to dispute the charges. She thought there would be a form or an email, some way to contact Facebook for a refund. After searching for hours, she gave up. Bohannon’s experience trying to get direct help from Facebook was not unique. The company knew customers were having problems reaching it. The same month that the Bohannon family lost several hundred dollars playing Ninja Saga, Facebook employees discussed the problem. Their system that was supposed to let users report problems was itself riddled with issues, according to the unsealed documents. And that wasn’t the only problem. 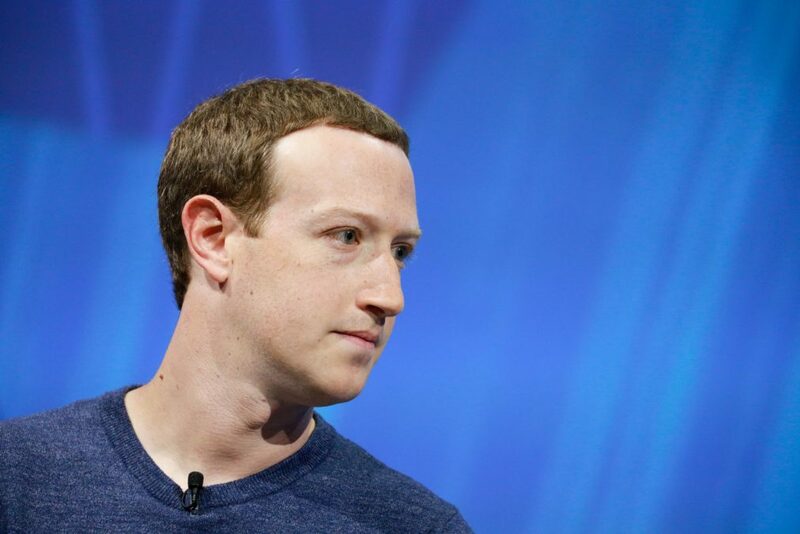 Only about 50 percent of Facebook’s customers were receiving receipts for their transactions, according to another unsealed document. “I felt it was all very deceitful,” said Bohannon, who also never received a receipt. So in April 2012, she and her son filed a lawsuit against Facebook to get their money back. But now they had to deal directly with Facebook’s attorneys who wanted to depose Bohannon’s 12-year-old son. “Facebook’s lawyers were extremely aggressive, and treated him terribly,” Parker said. Bohannon said she felt awful watching her son being interrogated. In 2013, more than two years after Stewart designed a solution that would have helped the company avoid duping children, and more than a year after Bohannon filed a lawsuit, an underage girl wrote to Facebook requesting a refund. Seemingly, little had changed at the social media giant. In August 2014, the Bohannons’ lawsuit grew in stature. John R. Parker Jr. and the team of attorneys representing the Bohannon family had filed for class certification, meaning other children and parents would be represented too. But Facebook successfully fought to get most of the records in the case sealed, saying public access to the documents would hurt its business. So the trove of behind-the-scenes strategies and messages that Parker and his team had uncovered remained hidden from public view, until Reveal intervened in the case last year. Among those sealed documents was one that showed Facebook’s problems had not gone away. As of 2014, Children and their parents were still clawing back money from Facebook at extremely high rates. About 9 percent of the revenue Facebook made off kids was eventually charged back by the credit card companies as recently as March 2014. That is nearly identical to the extraordinary rates Facebook first noticed more than three years earlier. In effect, the company had done nothing to change it.